Sales leaders, what does your pipeline smell like? I love the water. Simply floating in my pond in Maine is heavenly on the 90+F degree days we have been having so far this summer. What makes my pond so heavenly is that it is fed by an underground aquifer. If it weren't, the water would get stagnant, smelly, mucky, and not a place I'd want to float. Instead, when you float in the 70 acre pond that is my backyard, you can feel the tiny bubbles hitting the surface. (When I first felt it I thought it was a fish about to nibble on my toes. You'll never see me swim that fast again!) From above, you can see clearly to the sandy bottom. The smell of fresh water and air is unmistakable. As I was floating in the pond over the US holiday this past week, I was reflecting on the pipelines and forecasts clients have sent me to review. Unfortunately, they didn't exactly remind me of my perfect pond. Most of the forecasted deals smelled funny and weren't very transparent. Most didn't have more than 1 contact involved and hardly any had a real decision maker. The sales rep couldn't answer many of the questions laid out in the layered questions worksheet, meaning they didn’t know what the status quo was or why it was important to change. They had no compelling reason for them to buy from them. There wasn't a lot of new stuff coming in. When there isn’t a lot of new conversations happening, salespeople tend to rely heavily on what is there- real or not. And of course they are all real, if they weren’t … well then what? They’d have to prospect more, or qualify out better- and neither of those are comfortable situations for them. And this isn't just my clients, according to 2017 survey data from the Bridge Group on Account Executives, 19% of SaaS companies identified forecast accuracy as one of their top 2 challenges. The 2016 CSO Sales Enablement Optimization Study showed that “the average win rate [of forecasted opportunities] was 46.2%. A formal coaching process led to an 11% improvement, and a dynamic coaching process improved the win rate by 27.9%. And just today, Objective Management Group did an analysis that correlates the strength of a salesperson to the accuracy of their forecasts. "...elite salespeople had 150% more of their opportunities remain in a late stage (qualified or closable) than weak salespeople who only saw 16% of theirs remain late stage. " And so as a sales leader or manager, how do you get movement and fresh water into your pipelines? How do you develop your salespeople to become stronger and more accurate? Coach to early opportunities. The mistake many managers and coaches make is to focus on the deals most likely to close, or largest. It is difficult to make a coaching impact after several conversations have already happened. But if you start with the early ones to help your salespeople start on the best possible foot , you will have a greater impact down the road. 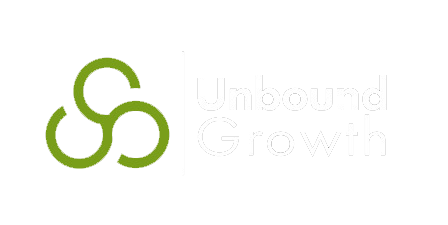 Train and coach on how to ask for, engage with, and close the loop with referrals. There is no reason why a salesperson can’t stay in contact with customers they have sold to in the past and ask if everything is going as expected and promised and determine how delighted they are. Simply asking question like; “Who else have you talked to or bragged about this to? Do you think we would get along? How would you like to introduce us?” goes a long way to putting new opportunities into a pipeline. When debriefing conversations, start with the outcome and work backwards from that outcome. How did they end up there? Why do they think it happened that way? What would they do differently, if anything? Ask “What’s next” for each opportunity your salesperson presents to you. If there is no plan, there will be no action. Set coaching calls throughout the week and for 15-20 min at most. The more frequently you coach your salespeople, the less they are able to come to you with the same old opportunities every time. In addition, keeping them short and real world actionable helps your salespeople to remember the lessons and apply them immediately. Have a milestone centric sales process with criteria based on buyer behaviors. When assessing opportunities, use buyer behavioral data to align your sales process stages to improve forecast accuracy. 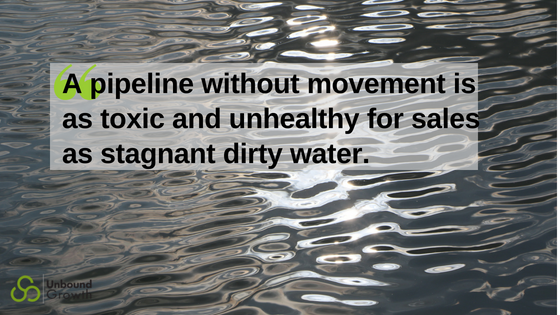 A pipeline without movement is as toxic and unhealthy for a sales as stagnant dirty water. But like my pond, a pipeline that has movement brings life and growth. How does your sales process and team stack up? Check out the resources for sales leaders to grade your sales team and process in 5 minutes.